Matthew – Newly-minted four-year-old Matthew spends his days trying to keep up with his big brother. Not wanting to be left behind or left out, he begs me to ‘do school’ with him along with his brother. He enjoys riding his bike, building rockets, knock-knock jokes, and pretty much anything Lego. Matthew has a very active imagination and still talks about being worried the cooked crocodile we ate in Congo would bite him back when he ate it. 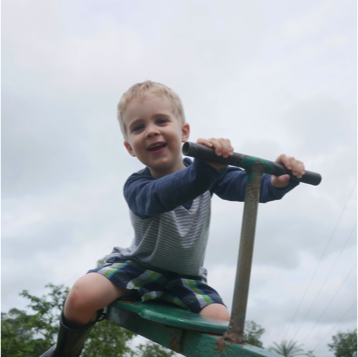 Jonathan – It’s been a big year for Jonathan, transitioning from age five to six, finishing kindergarten and enjoying grade one. He lost his first tooth while we were in Congo, joined the swim club in Elkhart this fall, and is flourishing in school. 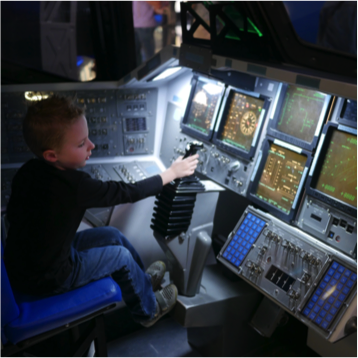 At the time of writing, he aspires to be an astronautical engineer. 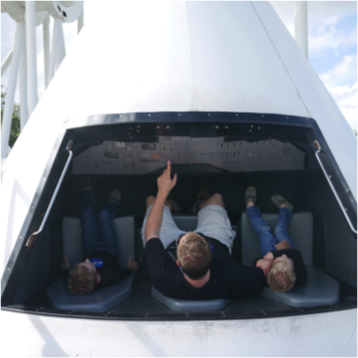 He figures it’s much safer to be the one designing the rocket than to be the astronaut inside it. Riding his bike, writing stories, and ‘tinkering’ (engineering inventions from craft supplies and household materials) are his all-time favorite activities. 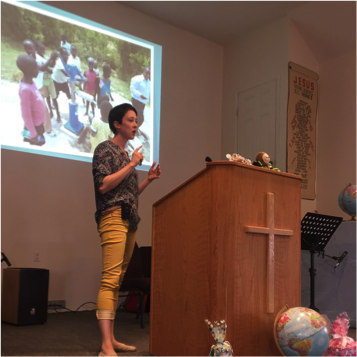 Candice – It’s been a year of speaking engagements, from being the keynote speaker at a conference in Manitoba in the spring to reporting on Congo at Ontario Christian Gleaners this fall. Much of 2017 has been shaped by our time in Congo: from preparation before departure, establishing the feeding program at Pioneer Christian Hospital while there, and now reporting on the program and providing follow up from afar. In addition to the Republic of Congo, Candice traveled to Dominican Republic to assist in community development projects. Homeschooling the boys is where her heart remains, and she is thoroughly enjoying studying along with her two little pupils. Tom – Tom continues to love his dream job of putting his engineering mind to use creating technology-based solutions to advance the gospel worldwide. He loves learning from his like-minded plaid-doting colleagues and enjoys shooting off model rockets with our boys. As a family, some of our highlights of the year were sleeping under bug nets while serving together in the Republic of Congo this past spring, getting acquainted with the other Canadian Reach Beyond missionaries at our 50th anniversary in Ontario this fall, and opening our home to a family of six who have been living with us for the past three months. Two thousand seventeen has been a rich year for growing our relationships with each other and stretching our faith. On the ministry front it has been a very diverse year. In addition to our projects abroad, Tom finished the new generation of the SonSet radio, a solar-powered fixed-tuned handheld radio used as a ministry device in countries around the world. 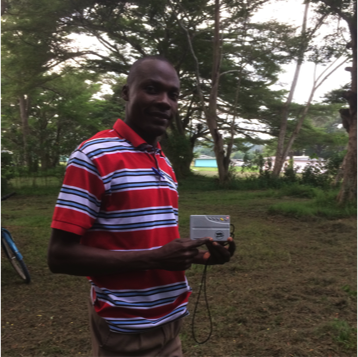 These radios are tuned to Christian stations and are sent to ministry partners in areas without power and often without literacy. An order of 5,000 of the new generation radios has been placed, with more than half of these already spoken for by ministry partners. Tom continues to work on the software development side of adding a recorded audio bible to the radio and looks forward to completing the project in 2018. 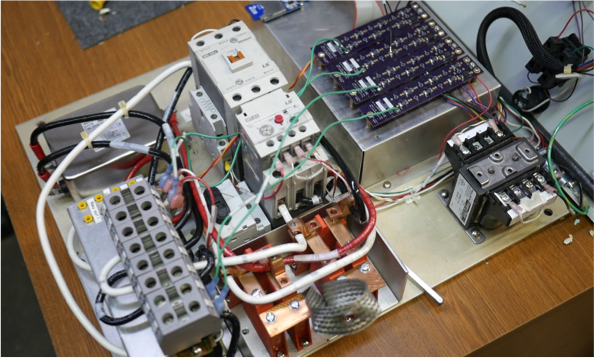 The first prototype of the electronic power protection (EPP) system that’s designed to save radio station broadcasting equipment from bad power is completed and is in its final testing phase. This prototype unit is destined for ELWA hospital in Liberia in the first quarter of 2018 for final field-testing. As for the satellite-based water well monitoring system he works on, over 250 units have been shipped this year alone and they are operating in 14 different countries. These satellite monitoring systems help ensure wells are healthy and operational. Tom also continues his software development project for Radio Lumiere, a radio station in Haiti, to move their audio content from hard copies (such as CDs and audio cassettes) to digital. As the progress moves forward, there’s a possibility of Tom heading to Haiti in early spring to provide training on the new software system. We are currently in Manitoba on Home Ministry Assignment (HMA). This means for the following six weeks we will be meeting with supporting churches, mission committees, supporters, family, and friends to provide updates on our ministry and be transparent about our support needs. Unfortunately, this past spring our health care insurance provider in Canada stopped offering coverage to missionaries residing in the USA. Because of this change we were forced to move to a much more costly USA-based health insurance plan. This mandatory move has resulted in our monthly ministry expenses being significantly higher than our current monthly support. To put it plainly, we are now short $1,032 per month. We are relying on the Lord’s will to be done regarding this scenario. As such, we will be sharing about this shortfall during our time in Canada, but we want to ensure this prayer request doesn’t overshadow our praise regarding what God has done this past year with the ministries we are involved in. Our church schedule for the next few weeks is below. We would love to see you during our time in Canada and thank you, personally, for your support and share with you what the Lord has done. Enjoy this Christmas season as we celebrate the birth of our Savior, Jesus Christ.